BBQ enthusiasts are always looking for new ways to use "rib tips". Rib tips are the leftover trimmings from cutting down a spare rib to "St. Louis Style". 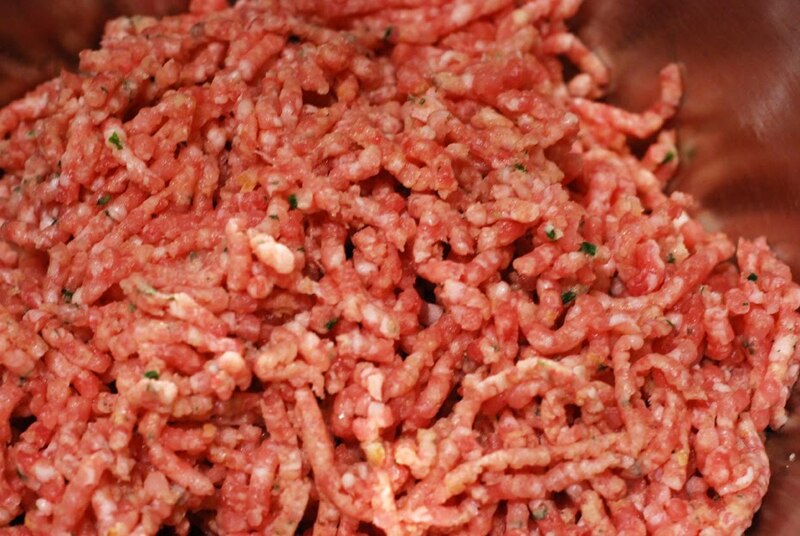 This recipe is one I came up with to use rib tips but you could just substitute 1.25 lbs of ground pork. I thawed the trimmings from three spare ribs and the scrap ends of a pork loin. I carefully trimmed the rib tips and ends to get out all pieces of cartilage or bone. I popped the meat back into the freezer for an hour because partially frozen meat grinds better. 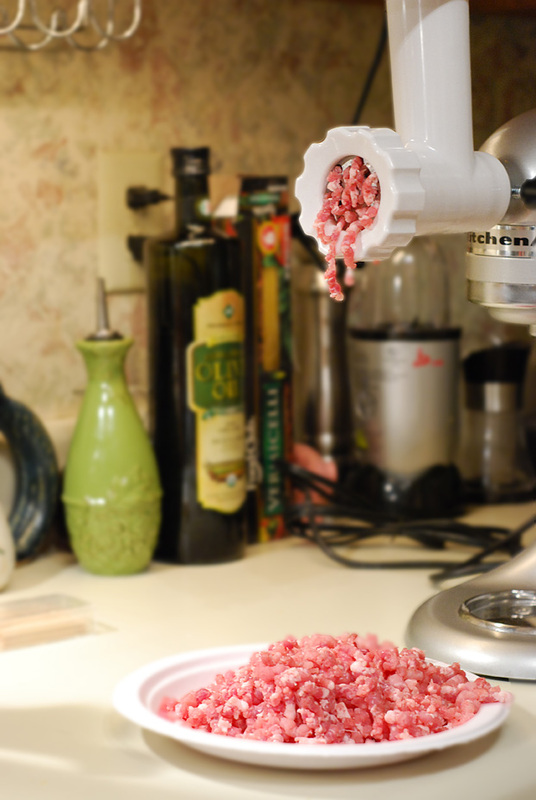 Next I did the first grind (coarse) of the meat using the Kitchenaid meat grinder attachment with the coarse die. I divided the mix into two batches, each a little over a pound. 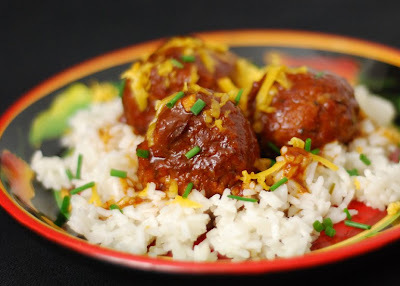 I used one in this recipe and then one for an Asian meatball recipe I'm posting later this week. 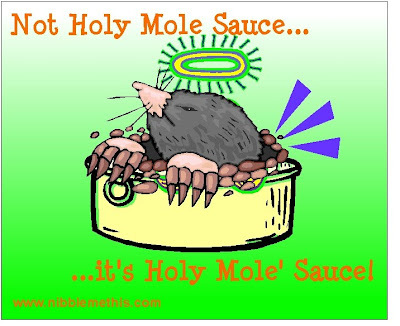 This is an accidental mole' sauce. 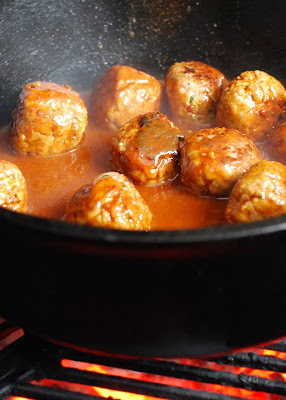 My plan was to simmer the browned meatballs in AB's enchilada sauce but my spicy pork stock made it a bit "too kicky". So I tamed it down with an extra Tbsp of sugar and the chocolate at the end. Sometimes it is better to be lucky than good. Make your sauce by simmering all of the sauce ingredients except 1 Tbsp sugar and the chocolate for 45 minutes. Since my sauce was heated up by the spicy pork stock I made, if you are using chicken stock or beef stock, add a tsp of red pepper flake. Shave the chocolate into the sauce and let melt. Taste for seasoning and add the 1 Tbsp of sugar and salt/pepper as needed. If using ground pork, make your meatballs by mixing all the ingredients together by hand. 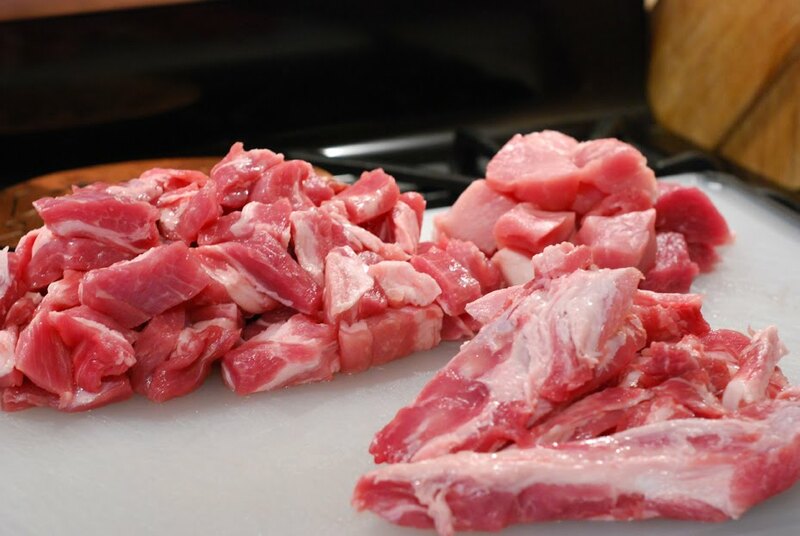 Since I was grinding my own pork, I added all of the ingredients together before the second grind (fine die) and ground it all together like you would do for a sausage. I like this technique because it really integrates the seasonings with the meat. Either way, form the mix into 12 -15 meatballs. 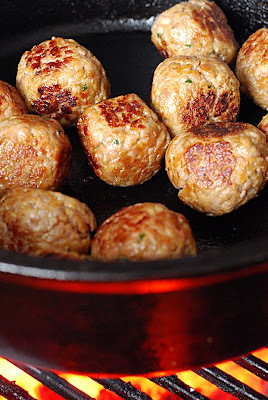 Get your grill burning at 350f direct heat and brown your meatballs in 1 Tbsp of oil in a cast iron dutch oven (or brown them in a cast iron skillet on the stove top). This should take about 10 minutes. Now add about 2 cups of the mole sauce to the dutch oven, cover and allow to simmer for 10-15 minutes, stirring occasionally. The sauce should reduce and thicken up during this time. Temp check your meat balls and pull them off when they reach an internal temperature of 165f. Mine were 170f at 15 minutes but were not overcooked at all. 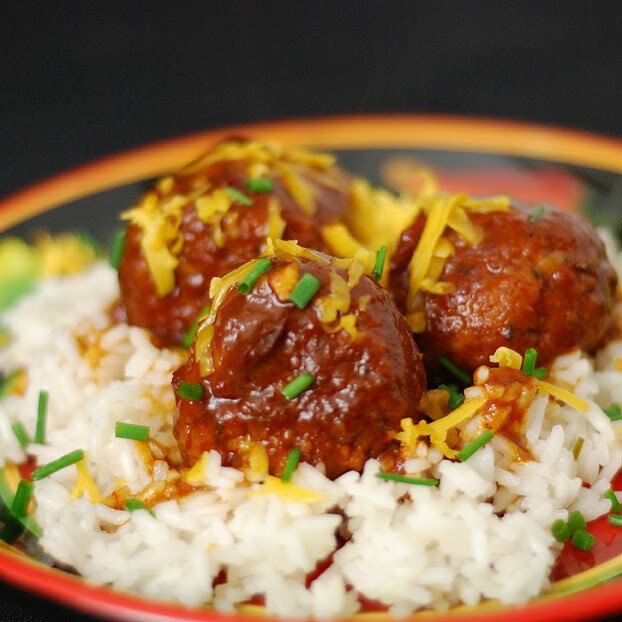 Serve over rice and top with shredded cheese and chives (or white queso, cilantro, or whatever). This was an excellent dish and the only thing I would do different next time is add some veggies like corn to the rice. Or you could make this into a different appetizer by cutting the meatball sizes in half and serving in the sauce in a chaffing dish. Planet Barbecue! - Available at Workman Publishing for $22.95. Cutting Boards - BBQ'rs can always use a new cutting board. 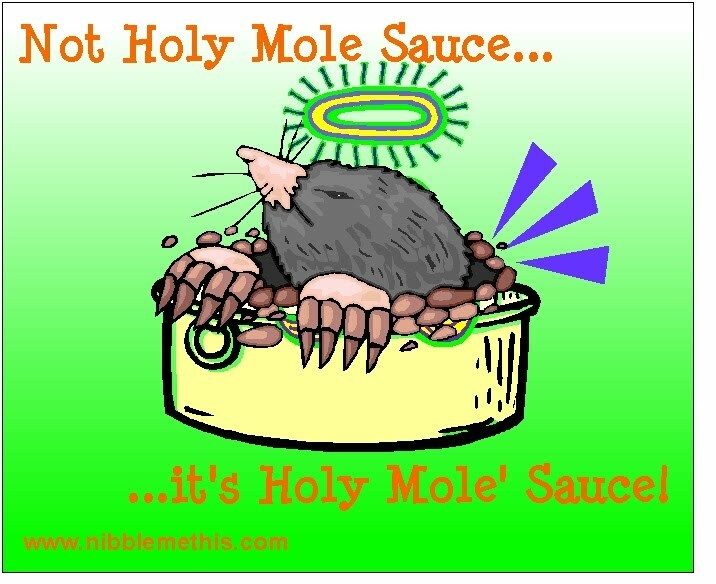 Find out what they like because most people have a preference for a particular material. Some like wood, some marble or glass, there are new bamboo ones. My new favorite one is this one from Select Outdoor Kitchens. Digital Instant Read Thermometers - The top of the class is Thermapen. I have one and love it. But I have used Taylor's Weekend Warrior for 2 years and it performs close to the Thermapen for about 1/5th of the cost. 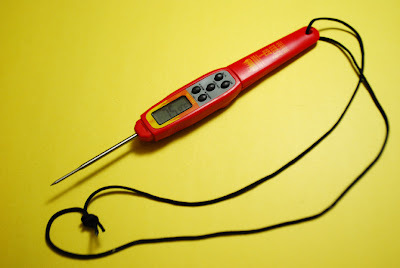 See my post on thermometers here.